Internet flower shops are steadily replacing the brick and mortar counterpart in Canada. When it comes to buying flowers online at work or from the comfort of your home over the Internet, there is no shortage of websites or florists offering products and delivery services to Canadians or to those wanting to send flowers to Canada. While each of these florists proudly displays their wares and services, it's very important for you, the buyer, to find an online Internet florist that serves your needs and gifting requirements. This article will offer a few tips to guide you towards choosing between the right florists when you order your flowers on the Internet. It's in Canada. It's pretty. But does it work for you? When shopping online for gifts on the Internet, roses, or anything else you're considering sending off as a special message to someone else in Canada, it's worth your while to evaluate the florists' systems you'll be using to make a purchase. Sure, on the Internet a website is a website, but it's what goes on behind the scenes that will make your buying experience a joy or a painful memory! Florists in Canada with good Internet websites share four things in common – a smooth system of navigation to view products, a streamlined checkout system, buying convenience in the form of credit card and debit card usage, and lastly, free value added services such as emailed occasion reminders or informational areas to help you with your buying decision. Always keep in mind that good florists on the Internet in Canada will operate no differently than if you walked into the door of the brick and mortar shop it belongs to – think of it as a virtual representation of real life. Using Brant Florist as Canada's example… You and a friend want to send flowers to Toronto, and you've decided upon online flower delivery for its convenience and ease of use. You've inputted your desires into your favourite Internet search engine and arrived at Brant Florist's website, while your friend had decided to use what we'll call Floral Site X. Both of you will be sending bouquets, perhaps as birthday wishes or a message of congratulations. You easily skim Brant Florist's pages of flowers and gifts categorized by budget, occasion or message preference. You add your flower selection to your shopping cart and proceed to the check out, where you decide to take advantage of the add-on feature and build upon your gift with balloons and a postcard. Perfect! 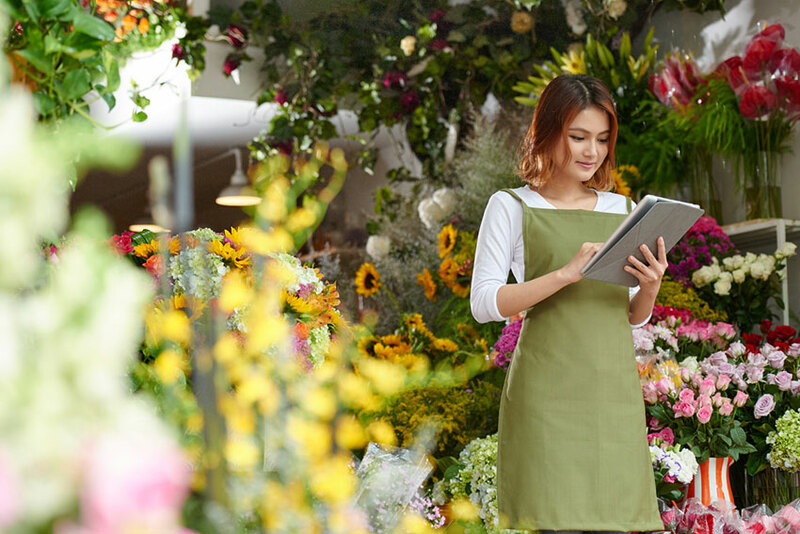 Except you forget your credit card in your other pair of pants and only have your banking card with you – but it's not a problem, since Brant Florist is one of the only florists in Canada to support Interac Online which makes buying with your debit card a breeze. A few delivery details inputted and you're done! As for your friend who chose Floral Site X, who wasn't able to change his gift once selected, who became confused through the checkout process and then found out his debit card was of no use – well, let's just say you'll be returning to Brant Florist for a sympathy arrangement. With Brant Florist, buying flowers online has never been easier! It's not difficult to see how important choosing the right website for Internet flower delivery can be when you only have a fifteen minute time window, or your lunch break is nearly over. When buying online on the Internet, convenience counts, so take that into consideration when you choose whom to buy your flowers from. Truthfully, giving a gift should feel just as good as receiving it – research once, purchase easily many times after! Some final thoughts on buying your flowers online on the Internet in Canada… When you type "Internet florists Canada" into Google, you're going to get a lot of results from a lot of florists in Canada – always spend the time to check out all the websites' features and see how deep the florists' product lines are. Brant Florist has a rich and varied catalogue of flowers and gifts for all instances and occasions – make sure the florist you choose has the same. You shouldn't have to relegate your gift to a second-best choice just because the message you really wanted to send wasn't in stock. Good florists in Canada will always be prepared – either to serve you or to lead you to those who can! This bit of careful scrutiny will land you at the website capable of fulfilling all your floral and gifting needs. Once you buy your flowers on the Internet in a stress-free, streamlined environment, you'll wonder if you'll ever enter another real-life flower shop again! And as a bonus, florists in Canada often offer incentives when you buy online – they can pass the savings onto you! Finally, make sure the site you choose has the FTD logo on their website, but more importantly, make sure they're a real florist! Affiliate Internet "florists" and floral sites in Canada lack the decades of experience and expert craftsmanship that real florists such as Brant Florist possess. Your receiver in Canada should settle for nothing less, and neither should you!